Widely known as the theme park capital of the world, Orlando is an eclectic mix of theme parks, high-end shopping outlets, noteworthy museums and art centers, world-class restaurants, theatrical performances and amazing concerts, thriving nightlife, countless golf courses and recreational activities. Home to more than a dozen theme parks including the Disney Land and Universal Studios, you will never run out of incredible places to visit while in Orlando. Walt Disney World, SeaWorld, Universal Studios and Discovery cove are some of the must-visits of the magnificent city. As the city is frequented by business travelers as well as leisure travelers, Orlando has an extensive selection of hotels for every need and budget. 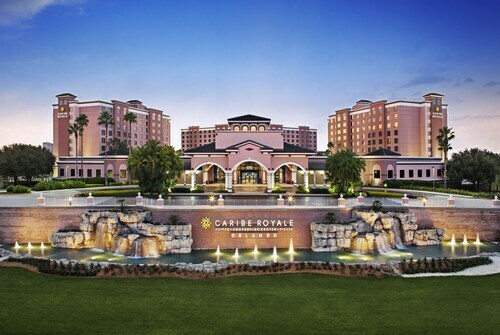 Whether cheap hotels in Orlando or 5 star hotels in Orlando, you will find everything. 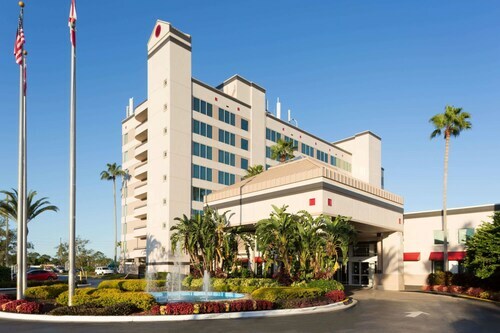 Getting the best available budget hotels in Orlando can be quite tricky and we at MyFlightSearch have partnered with top domestic as well as international hotel chains, so you always get the best hotels in Orlando available online. 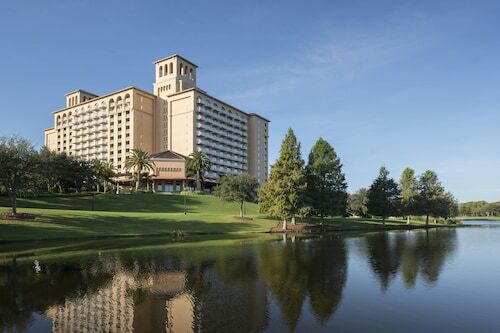 Browse our selection of Orlando hotel reservations, and save big on your trip! The best time to visit Orlando is the winter months of November through February when the weather is pleasant and the city is crowded with tourists. As this is the crowning tourist’s season it is a bit difficult to get affordable lodge in Orlando during these months. If you want to avoid high price and holiday crowds, book hotels well in advance to get top hotels in Orlando at a cheaper rate. The spring season from March through May are best months to visit Orlando for budget travelers as apart from mild weather, visitors can enjoy agreeable prices on travel and accommodation in Orlando Florida. Also, these months are best for sightseeing as the attractions won’t be as crowded as the peak winter months. In addition to that, spring months are best to visit when several noteworthy events and festivals such as Universal Orlando’s Resort’s Mardi Gras and Walt Disney World Resort’s Epcot International Flower & Garden Festival happen. 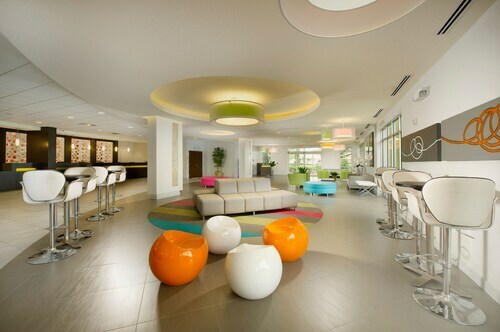 So, visiting during the season can even help you book luxury hotels in Orlando at an affordable budget. Take a stroll around Tibet-Butler Nature Preserve and enjoy a relaxing walk amid the quiet preserve. Enjoy stunning views of Lake Tibet Butler along the beautiful trail of flatwoods and wetlands. Keep your eyes open for wildlife sightings as you can behold gopher tortoises, bald eagles or bobcats. Visit Universal Studio, one of the world’s best theme parks to experience the most exhilarating moment of your life. Universal Studio has two parks, a water park and an entertainment complex with chock-full of adventures. Spend an entire day exploring the Wizarding world of Harry Potter if you are a Potterhead or experience your favorite Steven Spielberg movie. Take a tour of the Kennedy Space Center Visitor Complex and experience the life of an astronaut. Experience the real life space experience through high-tech interactive exhibits and special effects—including augmented reality and Star Wars-style holograms. At the magic kingdom park, all your childhood memories will come rushing back to you. A perfect haven for the entire family, the park features Cinderella Castle, Space Mountain and the recently added Seven Dwarf Train ride. Get a selfie with your favorite Donald, Goofy and several princesses and behold the fireworks that light up the night to cherish it for a lifetime. Embark on an action-packed tour of 4,700-acre wild life conservation area, Forever Florida to enjoy the only zip line roller coaster in the United States. Further, explore the terrain on horseback and spot alligators, black bears, several species of bird and endangered Florida Panther. There are cafés and gift shops here if in case you want to take something back as a memory. The world known SeaWorld is among Orlando’s major tourist attractions. Along with watching great dolphin, whale shows, touch pools and getting one-on-one interaction with whales, otters and sea lions, visitors can also enjoy thrilling roller coaster rides. If you are in Florida, this marine park is a must visit place. Walt Disney World is the largest theme park resort of the world featuring four theme parks, two water parks, a shopping and dining district, and numerous hotels. One of the best theme resorts, Universal Orlando Resort has numerous themed parks featuring best entertainments in the world. The stunning garden is a major tourist attraction with its beautiful landscape, lakes and flowers. With plenty of exotic flowers and fauna, the intricately landscaped garden is home many birds and a major landmark. The museum is home to the world's most comprehensive collection of Louis Comfort Tiffany’s famous Tiffany art glass, leaded-glass windows, lamps, jewelry, pottery, paintings, and many more. The stunning 200-acre marine theme park is one of the main attractions featuring shows, exciting rides and much more. Downtown, a historic neighborhood of Orlando and Central business district is where tourists book hotel accommodations to stay close to the city’s cultural attractions. If you decide to stay here, you will find art galleries, nightclubs, snazzy shopping centers and fine restaurants just a stone's throw away distance from you. Universal Orlando, Sea World, and many other theme parks are located about 10 miles south-west of the neighborhood, and Disney World is about 20 miles southwest of Downtown. Within Downtown Loch Haven Park, the Orlando Science Center, the Orlando Shakespeare Theater, and several others can be visited as well. International Drive, also known as I-drive, is the best place to book a hotel accommodation in Orlando if you are visiting the city for its amazing theme parks. It is the core of tourism in Orlando and has a variety of accommodation options available, from budget to luxury. I-Drive has a broad range of shopping and dining options available within a small area. Wet n’ Wild, Universal Orlando Resort, Sea World, the Orlando Eye Ferris wheel, themed restaurants and shopping complexes are also located in this popular area. To travel from International Drive, nearby attractions and rest of the Orlando, visitors can rent a car. I-Ride Trolley is another great option (more economical) to move around the I-Drive. Winter Park, a part of Orlando–Kissimmee–Sanford, Florida Metropolitan Statistical Area, is a great place to book a hotel accommodation. This neighborhood is home to well-to-do Floridians and is equipped with excellent tourism infrastructure. 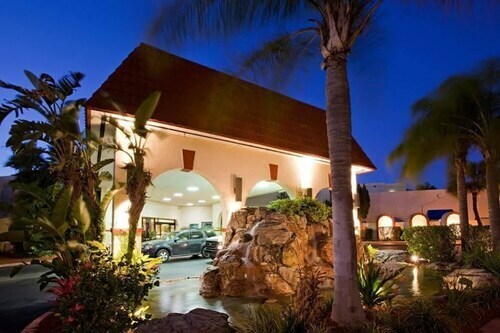 It has several hotels to accommodate tourists offering a nice alternative to Downtown’s pricey hotels and crowds. With Charles Hosmer Museum of American Art, a few architectural marvels, a historic cemetery, and a beach in the area, Winter Park has a lot to offer to the visitors. This neighborhood is served by Winter Part Amtrak Stations to make commuting to and from the rest of Orlando and nearby cities convenient. Located close to Downtown Orlando, College Park boasts some amazing hotels around the neighborhood. This one of the oldest Orlando neighborhoods has several fine restaurants, specialty stores and abundance of charming lakes. Visitors staying here can picnic at Albert Park, explore the Orlando Science Center and Mennello Museum of American Art. Loch Haven Park is also close by from College Park. Budget hotels in this neighborhood make it one of the most sought after locations as tourists can not only find a beautiful accommodation in less price but also remain close to all the action in Downtown. Which are the most popular Orlando neighborhoods to stay for Business Traveler? Downtown and International Drive area are the most popular areas to stay for Business Traveler. How much do you tip a porter at a hotel in Orlando? $4-$5 depending on the type of service the porter has provided. Best Time to Book a Hotel in Orlando? To get the best deals on Orlando hotels, it is recommended to make your hotel reservation three to four months before your visit. Prior reservation will reduce your cost on Orlando hotel deals to a great extent. Average cost of a hotel room in Orlando? An average hotel room costs around $47- $50 per night in Orlando. Average cost of a hotel room in Orlando during the weekend? An average hotel room during the weekend costs around $ 80 to $100 per night in Orlando. Orlando is mainly served by the Orlando International Airport. The airport served by a number of airlines such as American Airlines, Delta, Air Canada, Emirates flight and Singapore Airline connecting the region with international and domestic destinations. Several cities from New York, Pennsylvania, Texas, California and Florida have direct flights to Orlando. 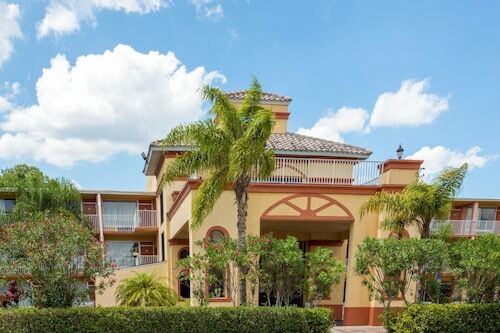 Whether you are looking for luxury hotels in Orlando or last minute hotel deals Orlando, there are a plenty of options to stay near the airport as well as other major areas.